Easy to set up/take down in seconds! Great Opportunity Buy! Unique ball return channel automatically returns the ball every time Store all your golf accessories in an organized fashion! 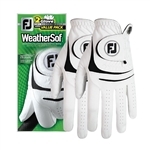 The #1 selling golf glove in the world! This high quality ball cabinet will keep your collectible golf balls neat and organized for years to come! Message. Final Clearance - Floor Models - Great Opportunity Buy! Only a few available! Great for Indoor or Outdoor! A great gift for any golfer! The perfect golf gift for the Executive who loves golf! Great Gift Item! Be Proudly Canadian with this Magnetic Ball Marker & Hat Clip! You never have them when you need them! Mesh ventilation panel 3 dozen ball special! - #1 ball in Golf 36 Dozen or 144 sleeves of golf balls - Perfect for your next event. Zero Friction & Extra Long! Be Proudly Canadian with this Magnetic Ball Marker & Hat Clip! 3 dozen ball special!